What would you do if your site has grown massively to a large scale similar to facebook, Twitter or Ebay? Hopefully you don’t have any clue of what should be done 🙂 Not a problem at all. Many website which grows successfully faces this problem and as a result of which they either get their application rewritten or just keep on adding useless load balancing and backup solutions. If your application is growing rapidly i would suggest using cassandra. Recently, we came across a problem faced by one of our clients whose popularity grew at a massive scale. The client became was so happy at one moment and just another moment he became sad.His application became unstable, site started crashing and data was continuously on losing end. We suggested their team about cassandra but there team was unaware of what the thing cassandra is and how it works and how it can be implemented? The Cassandra database is the right choice when you need scalability and high availability without compromising performance. It is an Apache Software Foundation top-level project designed to handle very large amounts of data spread out across many commodity servers while providing a highly available service with no single point of failure. Linear scalability and proven fault-tolerance on commodity hardware or cloud infrastructure make it the perfect platform for mission-critical data. Cassandra’s support for replicating across multiple data centers is best-in-class, providing lower latency for your users and the peace of mind of knowing that you can survive regional outages. 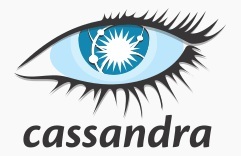 How to install Cassandra on Centos? Step 1. Install Necessary Modules For cassandra server. Step 2. Download and install latest SUN JDK binary installer from the link. Step 3. Download the latest Cassandra version from the link. Once Cassandra has been installed you can use it to scale the data of your application as much as you can without a single point of failure.With Cassandra, you can easily manage 300TB of data using multiple machines.